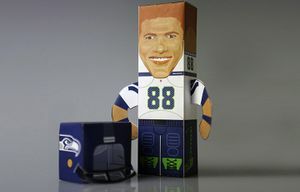 Print, build, pose and post your Seattle Seahawks Paper Hawks dolls from The Seattle Times. 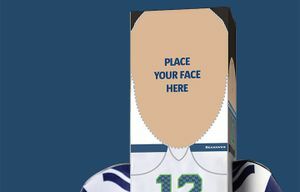 Collect all the players — from Russell Wilson to Richard Sherman to Jimmy Graham — and upload your fun photos to share with your fellow 12th Man. 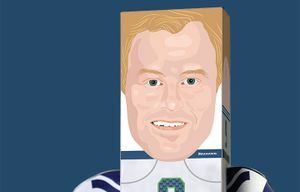 This week's Paper Hawks doll is punter Jon Ryan! 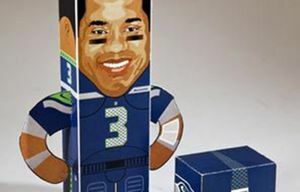 Look in Friday's newspaper or download a PDF to build your own Seahawks paper doll. 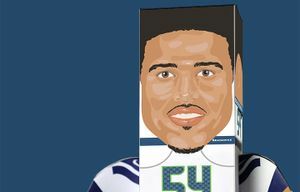 This week's Paper Hawks doll is middle linebacker Bobby Wagner! 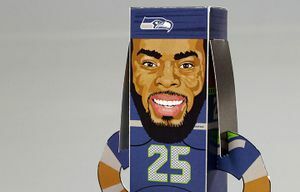 Look in Friday's newspaper or download a PDF to build your own Seahawks paper doll. Last week's Paper Hawk was, unfortunately, a repeat. This week we give you someone completely new. 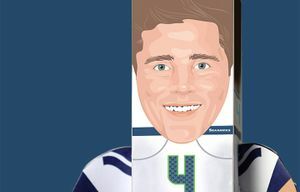 Get your Steven Hauschka paper doll in Friday's newspaper. 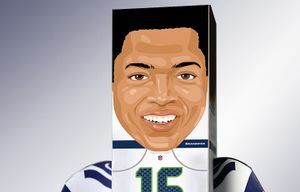 Print out Tyler Lockett doll: Have you posted your photos yet? 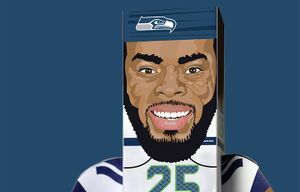 Build your own and show us your creativity by uploading a photo of you with your Paper Hawk.